Since 1985, the Central Minnesota Community Foundation (CMCF) has worked to engage people, connect resources and build a better community. We work tirelessly to provide grants for capital campaigns, local programs and other initiatives that improve the quality of life in the greater St. Cloud region, including through our community funds in Paynesville, Foley, ROCORI and Sauk Centre. Learn about the impact local funds are having on the greater St. Cloud region and discover how you can start your own! Ever wonder what progress is being made in the St. Cloud area in sectors such as education, safety and the arts? Central Minnesota Community Foundation (CMCF) has been working for more than 30 years to create a better, more interconnected community across the greater St. Cloud region. We partner with other area organizations and foundations to create and distribute funds and grants to applying organizations. The Central Minnesota Community Foundation is able to work with you to create your own fund to support the greater St. Cloud region, guide you to an appropriate grant to apply for and help you learn more about the community and how you can help. Engaging People. Connecting Resources. Building Community. 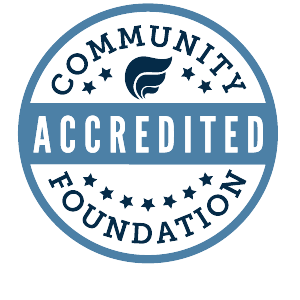 Central Minnesota Community Foundation is proud to partner with local community foundations in the Foley (FACF), Paynesville (PACF), ROCORI (RACF) and Sauk Centre areas (SCACF). For inspiration for your own fund, look to some of our CMCF donors’ Legacy Stories. Here are a few samples as well. Harold and his wife Jeanette built the very successful Anderson Trucking in the heart of Minnesota which now employs more than 1,000 people throughout the country. The Anderson family has given generously to many causes in the St. Cloud area and beyond, establishing a number of funds at Central Minnesota Community Foundation to help them accomplish their charitable goals.The family cites church as a top priority for their giving. Dorothy Becker wanted giving back to her community to be more than just a financial transaction. Her passion for education and kids brought her to the Central Minnesota Community Foundation. As a longtime school volunteer, mother of six children and former elementary educator, she knew a child’s success in the classroom depended upon the home environment. Dorothy then chose the causes she wanted to contribute to with her advisor and became engaged.